Meet my dog (well, one of them). One day last week, I ran upstairs to grab something, not realizing he was asleep at the top of the stairs. I startled him. Here’s how he greeted me. Now, imagine you’re in my shoes. 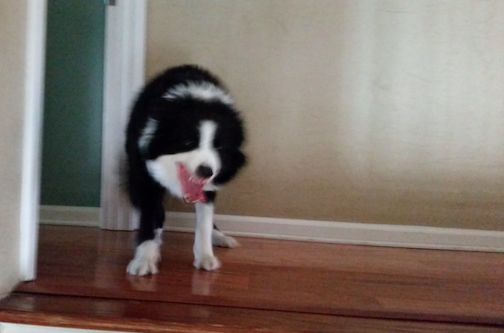 You’re halfway up a staircase with a dog baring his teeth at you. What do you do? If it had been any other dog, I know what I would have done â€“ backed away slowly. But it was my dog, and I know his quirks, and one of those quirks is that disconcerting grin/snarl he gives when he’s really happy to see me. I was reminded of that a few days later when we took the kids to the children’s museum in Memphis. It’s a great museum, with a cockpit from a FedEx airplane, a model of a grocery store, two fire trucks, and a bunch of other stuff. Including a model of a river, complete with plastic fish and gear to â€œcatchâ€ them. Somewhere along the line, someone must have gotten nagged about making the exhibit more educational, so they threw up a few pictures and stories, including one about Mark Twain. 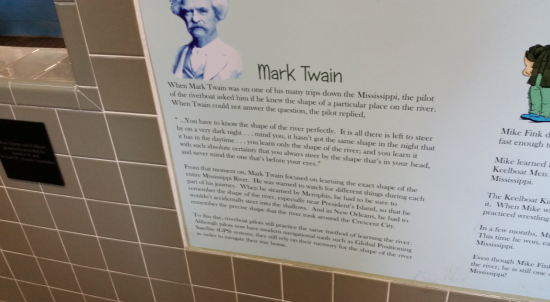 Long story short, Twain was learning the ropes on a riverboat, and the pilot gave him some interesting advice: memorize the shape of the river, then use your memory rather than your eyes because your eyes may deceive you. Kind of a â€œuse the force, Lukeâ€ moment. And anyone who has seen the Mississippi yoyo from low to flood stage and back in a matter of days can agree that it’s good advice. It’s good advice even if you’re not confronted with a snarling dog or a twisting river at night. Don’t be distracted by what you think you see, until you understand what you’re really seeing and why you’re seeing it. 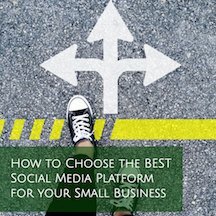 Are you alarmed that your website visitors leave your site and head straight to a competitor? Disappointed that customers come into your store, gravitate toward the same product, pick it up, shrug, then walk off? Worried that your Constant Contact email list only has three subscribers and they’re all relatives? Stop worrying and start asking why. Not rhetorical whys, actual whys of actual customers. The better you know what your customers are doing and why they are doing it, the better able you’ll be to respond to the situation.